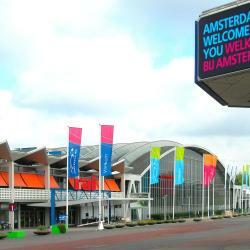 Looking for hotels near Madame Tussauds Amsterdam? This 4-star design hotel is located in the historic center of Amsterdam. V Nesplein offers stylish rooms with free WiFi and a restaurant. Central Station is 2789 feet away. Excellent in Services and Location. The Highland House is a boutique hotel with luxurious and intimate atmosphere located in Amsterdam, 656 feet from beurs van Berlage. De Jordaan and the Anne Frank House are just around the corner. Excellent hotel in a great location. 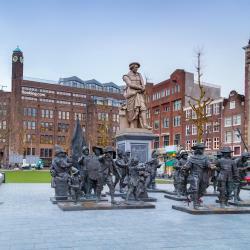 Just steps from Dam Square and a 10-minute walk from Amsterdam Central Train Station, Best Western Dam Square Inn has rooms with large beds, next to Amsterdam's shopping district. The locations was a good spot for the night we stayed. the bed was nice and comfy. The Nova Hotel is a modern 3-star hotel, located in 5 beautiful historic buildings in the heart of Amsterdam. 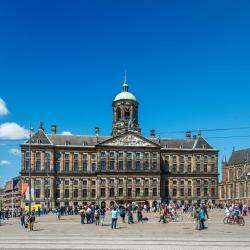 Find yourself right behind the Royal Palace and Dam square with free Wi-Fi. Breakfast was good .nice selection. Hotel Tamara is set in the Amsterdam City Center district of Amsterdam, and is a 3-minute walk from Royal Palace Amsterdam. Great location, close to the train station. Friendly staff who were very helpful. In the heart of Amsterdam, just 100 ft from Dam Square and a 5-minute walk from the Royal Palace, the Hotel Doria has a 24-hour front desk and a terrace. Each room at the 3-star hotel features a TV. Perfect location very friendly staff!!! Damrak Inn offers simple and functional rooms with free Wi-Fi, only a 5-minute walk from Amsterdam Central Railway Station. It benefits from a 24-hour reception. I phoned up the day of arriving asking for an extra bed, instead of getting an extra bed, I had 5! 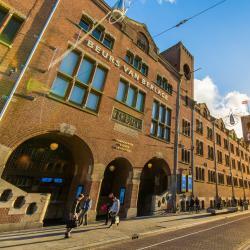 Hotel Citadel is an attractive and quality hotel in the heart of lively Amsterdam. Hotel Citadel offers excellent 3-star service. Wonderful centralized location....nice clean, comfortable room, and near public transportation. 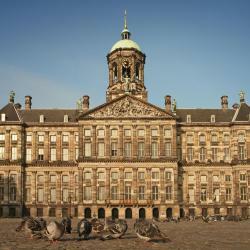 This hotel is a 2-minute walk from Dam Square and its Royal Palace. 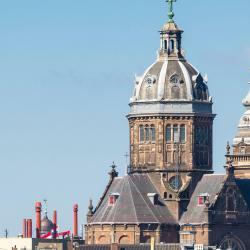 Cordial Hotel Dam Square has a 24-hour front desk and free Wi-Fi. Amsterdam Central Station is 10 minutes away by foot. I loved everything about it the location was excellent.